← Weekends Only Workout is Here! Not happy with your current gym? Or is your gym closing? 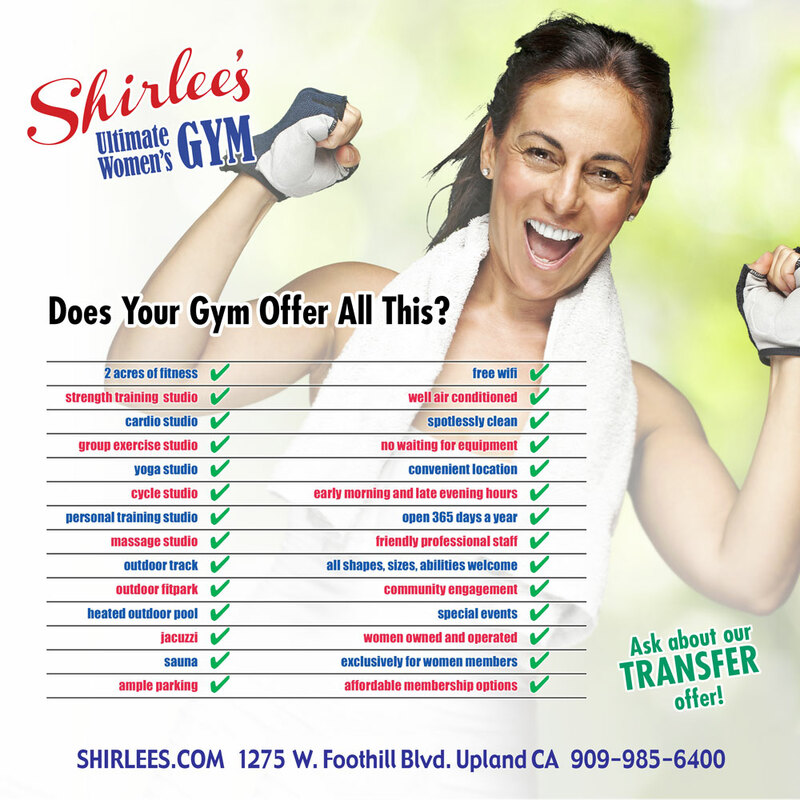 If so, we invite you to stop by Shirlee’s Ultimate Women’s Gym on Foothill near Mountain Avenue in Upland. Shirlee’s is not just another chain gym. As a private fitness club owned and operated by local women, we care about the community and our members. You will not find a more supportive atmosphere anywhere. Plus we have top equipment, a full schedule of classes, personal training, massage and more, all in a beautiful setting. Check out all we offer and compare. We think you will find that Shirlee’s offers a great value for your fitness dollars. We invite you to stop by the club for a tour and a free pass. If you have any questions, please call (909) 985-6400 1275. Don’t forget to ask the manager about our TRANSFER discount! We offer special savings when you trade in your old gym membership card for a Shirlee’s membership card. Join us. Look better, feel better, be better. This entry was posted in Membership Specials, News and tagged Pomona YMCA, Pomona YMCA closing. Bookmark the permalink.